Soothes the mucous membranes of the digestive tract. 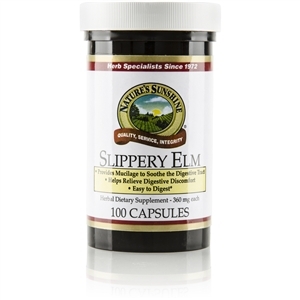 Slippery elm is rich in nutrients and mucilage. Mucilage is a long chain of sugars that form a slippery substance when combined with water. For centuries people have used it to support digestion and the mucous membranes of the digestive system.